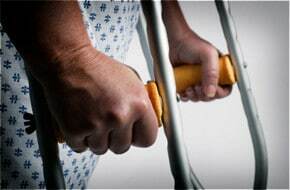 A Personal Injury case is a legal case where a person has experienced bodily harm as a result of another person’s intentional or negligent conduct. Some conduct may lead to both criminal and civil law causes of actions. Criminal law cases are filed and handled by city, county or state prosecutors. As an injured person, you can hire an attorney for your personal injury case, which is a civil action. There are statutes of limitations that will bar your claims for injuries. Therefore, you must settle or file your case before the statute of limitations expires. Contact a lawyer as soon as you believe you may be entitled to compensation as a result of injuries you sustained at the hands of another person. To understand if you do have a Personal Injury case, contact us right away. We have experience and success in handling such cases. Personal injury laws are intended to protect people who have been injured as a result of the negligent or intentional actions of others. If your injuries were caused by the negligence of another party, you have a legal right to seek monetary compensation for your injuries, medical expenses, disability, lost wages, pain and suffering. These cases can often be complex. When your life has been devastated by a catastrophic injury, you need legal representation you can rely on to ensure the most favorable outcome possible for your case. Dale Dahlin has been helping victims get their lives back on track for more than thirty-five years. Use the links below to find out about the areas of personal injury law that Dale practices, or call Dale now at (402) 423-4300 to schedule your free case evaluation. If you believe you may have a Personal Injury case, please contact our office as soon as possible. We are dedicated to each and every one of the clients in our office. We know you want your case to be treated like it’s the only case we have, and we do. We advise our potential personal injury clients to secure a consultation before talking to or negotiating with any insurance company or lawyer for the party potentially at fault for your injury. This is a difficult time for you and decisions made without proper legal advice or representation may prove devastating to you and your potential personal injury case. Call or contact our office today for a free consultation to explore the details of your personal injury case and the compensation to which you may be entitled. Your Lincoln Personal Injury Lawyer is Dale Dahlin.